We are a leading Manufacturer & Supplier of Table Chain such as M S Table Chain Brown, M S Table Chain Chrome, S S 202 Table Chain and S S 304 Table Chain from India. Clients can avail from us precisely designed SS 202 Table Chain. Our offered range is fabricated using the finest quality raw material and advanced machinery. This product is stringently tested on various parameters by our quality controllers to ensure complain free and flawless range. In addition to this, offered product is also available in customized options as per the needs of our precious patrons. Backed by a team of experienced professionals, we are manufacturing and supplying an extensive array of MS Table Chain Brown. This product finds application for assorted purposes. It is manufactured with utmost precision under the supervision of experienced and skilled professionals using optimum quality steel and technology. Offered range undergoes on various tests on well-defined parameters to assure its quality standards. Clients appreciate our product for features given below. We are recognized as the foremost manufacturer and supplier of S S 304 Table Chain. It is manufactured using optimum quality raw material and state-of-the-art technology in adherence to set industry norms. To meet various needs of the clients we offer this product in various specifications. In addition to this, clients can avail this product from us at reasonable prices. 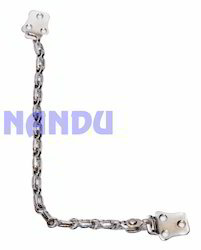 We are engaged in manufacturing and supplying a wide assortment of M S Table Chain Chrome. To meet various needs of the clients, we offer this product in varied dimensions and specifications. In order to manufacture this product, we make use of premium quality raw material that is pre-tested to ensure the quality and durability of the end product. Apart from this, our offered range is appreciated in the market for features given below.